This phenomenal liquid has been making big waves on the UK and European angling scene ever since it was released. Designed for use on all bait items from boilies to groundbaits, it has been so widely effective across the angling spectrumÊthat we, and many others,Êbelieve it to be the ultimate liquid fish feeding stimulant.The way it works is to stimulate the fish's chemoreceptors to motivate it to feed, much like certain foods and palatability enhancers do to humans and other animals. The natural enhancers are combined with a group of essential amino acids in such a profile that almost guarantees to supply fish with nutrients (and limiting amino acids) that they need but often find very difficult to source in their natural environment, particularly at times of the year when natural foods are less plentiful or even completely unavailable. This two pronged approach to attraction means that fish will pick up the baits that include this liquid either out of taste stimulation through water soluble attractors, association of taste from an enjoyable experience of eating baits that contain it in the past, or as a result of it supplying required nutrients that aren't available elsewhere in the fish's natural habitat. 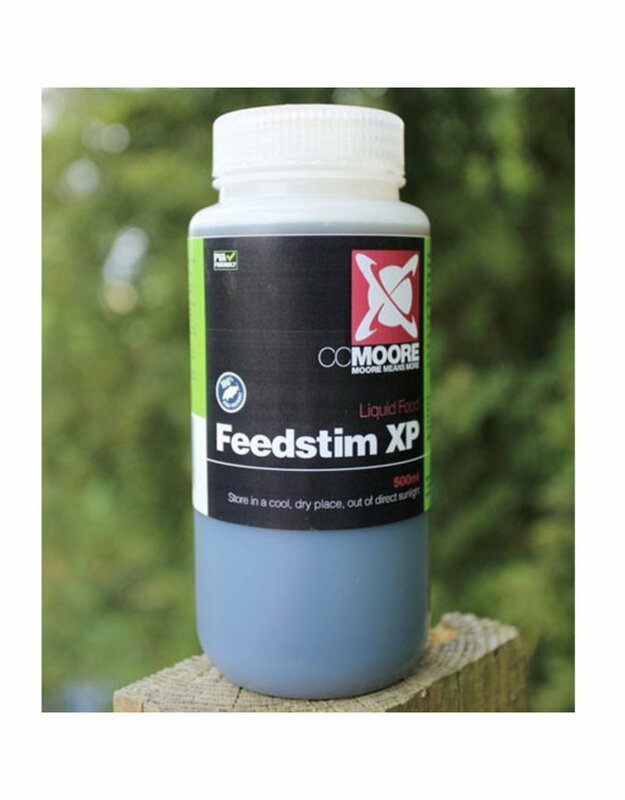 We have found this liquid extraordinarily effective when used with food baits, however it really creates a prolonged boost of attraction when used with method, particle, pellet, stick, spod and groundbait mixes too. ItÊis suitable for useÊinÊpva and has regularly attracted fish to hookbaits that have been in the water for only a matter of minutes. During extensive testing periods and several years of use we have seen quite staggering results achieved by anglers using this liquid for match, pleasure and specimen fishing (of most species) in many forms of bait presentation. Literally hundreds of anglers who have witnessed the extraordinary pulling power ofÊthis product now regard it as a vital part of their bait presentation.